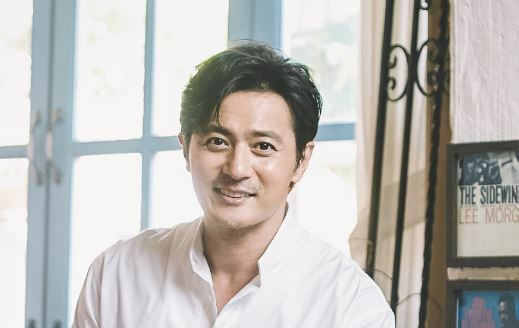 When Jang Dong-gun made his acting debut in 1992 on “Our Paradise,” a TV drama about campus romance, he caused a stir in the Korean entertainment industry. Every country has an iconic actor who represents the epitome of attractiveness in a certain period. In modern Korea, it seemed that position would be filled by Jang, whose chiseled looks have since become synonymous with handsomeness. After 25 years in the public eye, Jang only now feels comfortable in front of the camera, he says. For the first time in his career, he’s ready to acknowledge that his facial features are indeed conspicuous -- almost a hindrance to his craft. “I’ve decided to admit that I’m handsome now in front of everyone,” he joked at an interview Thursday in Palpan-dong, Seoul. Thoughtful by nature, Jang had been extremely careful in his acting decisions in his younger days, the 45-year-old said. Now, he feels a more intimate, trusting connection with the audience. Jang admits that despite his fame, he’s far from prolific. Few of his projects have led to massive commercial success, despite the bankability of his image. Wanting to build a serious career, he had been picky in his character choices -- perhaps to a fault, Jang says, looking back. Now realizing that hit shows or films are unpredictable, Jang is willing to take more risks. On Wednesday, Jang will return to the big screen for the first time in three years with the cop noir “V.I.P,” distributed by Warner Bros. Korea. He plays the intelligence agent Park Jae-hyuk, who is tasked with protecting a North Korean serial killer -- an abhorrent criminal who possesses important insider information about the regime. Park starts out as a typical salaryman, considering himself disconnected with such lofty notions as justice. Another aspect that made him say “yes” to the film was its director Park Hoon-jung, known for his depiction of dark, agonizing male figures in bloodstained noirs. Throughout his career, Jang has opted for brooding characters. In the 2004 war film “Taegukgi,” he starred alongside Won Bin as a protective older brother burdened with responsibility. In the 2001 film “Friend,” perhaps Jang’s most representative big-screen work, he plays the rebellious high-school student Dong-soo, the son of a undertaker. Jang also figures that on some level, these choices were a way to compensate for his “good-guy” looks. Due to his doe-like eyes and mild manner, Jang had been rumored to be one of the nicest actors in the business. But many men of his generation had harbored a desire to portray the rough mobster life, Jang explained. After the 2014 thriller “No Tears for the Dead,” where he starred as a veteran assassin, Jang fell into a slump. “I think an actor has to have a bit of narcissism. I’m not sure why, but that was a period when I was running low on self-love. I wasn’t interested in myself, or anything else. Acting wasn’t fun anymore. I didn’t even want to watch movies. “Could it have been a mid-life crisis?” Jang asks jokingly. 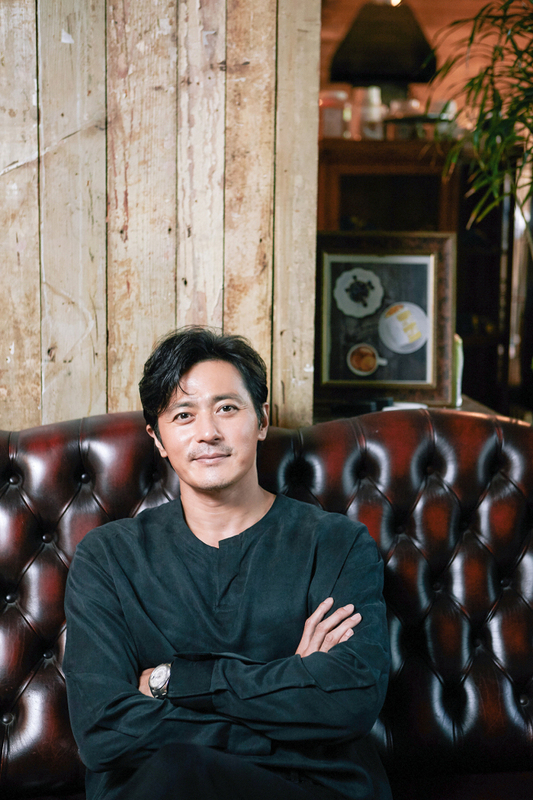 He says he overcame the downswing this year while filming “A Night of Seven Years,” an upcoming thriller film directed by Choo Chang-min. “I’ve regained an interest in myself. I’ve started to look good in my eyes again. Jang married actress Ko So-young in 2010, and they have two young children. At home, he says he’s a regular father who dreams of the day his children are grown-up and independent, but also simultaneously hopes they will remain young forever. “I’m worried about the teen years. I don’t think I will be able to handle the rebellion,” he says.